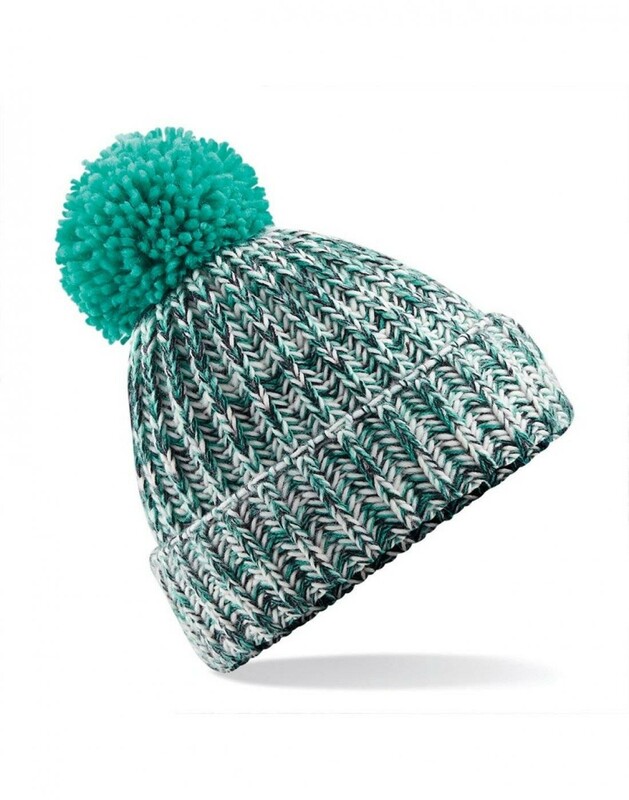 A great way to kit out your team for winter is with a beanie. 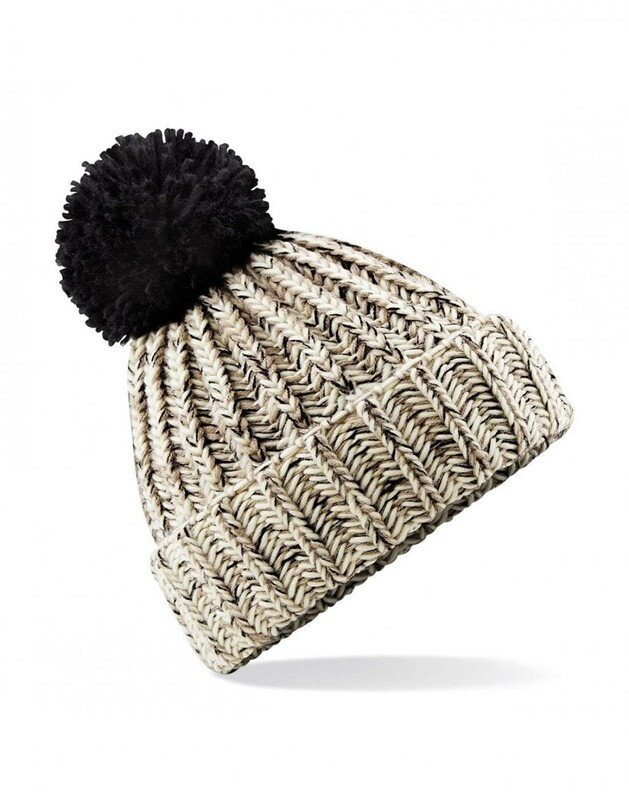 This twist-knit pom pom beanie is a stylish but practical choice. The chunky knit fabric gives it a hand-knitted feel whilst adding extra warmth. 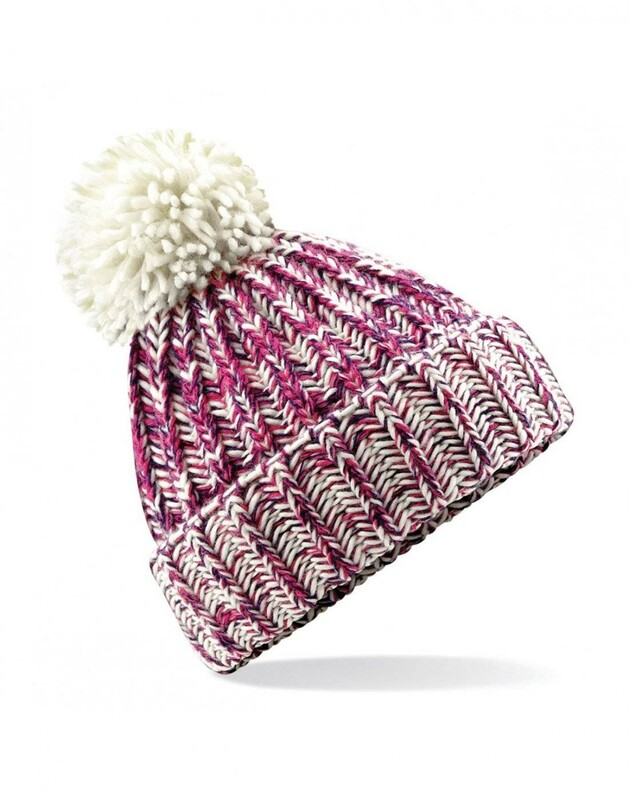 This hat has a suprafleece thermal band to keep you cosy. The cuffed design means we can add your logo or design in embroidery. 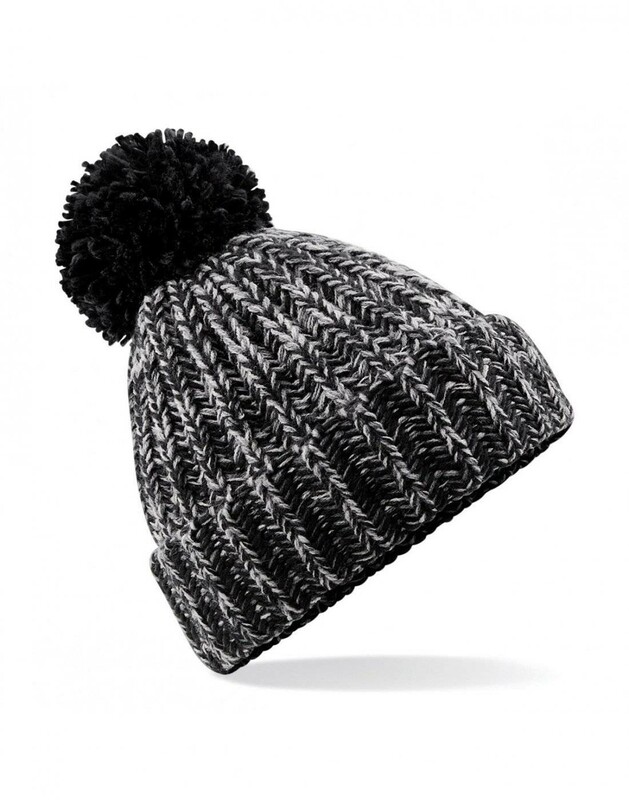 But if you want to go that step further and make this beanie truly yours, it has a tear out label. This is perfect for clothing brands or companies who want to remove any prior branding.